The field of British intelligence has always been shrouded in mystery, existing in the imagination as a shadowy world of secret agents. The highly acclaimed British Intelligence in the Second World War, originally published in five volumes, provided the first reliable and comprehensive account of intelligence at work. The field of British Intelligence has always been shrouded in mystery, existing in the imagination of the layperson as a shadowy world of secret agents. 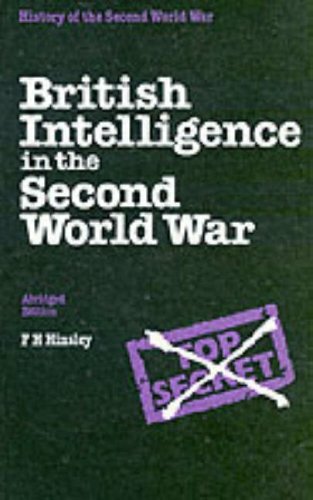 This text "British Intelligence in the Second World War", originally published in five volumes, provided a comprehensive account of intelligence at work. In this abridged version of the official history the author has retained all the evidence that is vital to the understanding the tole played by intelligence in the formulation of Allied policy and the conduct of Allied operations, and should contribute to the assessment of the influence in exerted on the defeat of Hitler. The record is based on unrestricted access to government intelligence archives.